We are always keen to hear from people interested in working with us at Wilderness Scotland, both in our office and as guides. Available positions are listed below while some general notes on our requirements for both office and guiding team follow. If you are interested in an advertised position then please follow the ‘How to Apply’ section within the advertised role below. If you are applying speculatively, then please email karl@wildernessscotland.com your CV along with a separate one page statement on how your experience can add value to Wilderness Scotland. As we receive a large quantity of CVs each year, we will only respond if your application includes this statement. Employment opportunities are posted below as and when they arise so please click through to the relevant opportunity. We are always interested to hear from potential new guides so please do follow the steps in the link below if you are interested in a freelance guiding career with Wilderness Scotland. Wilderness Scotland is an Accredited Training Centre for the International Sea Kayak Guide Association (ISKGA) ISKGA is a professional and dedicated association representing the commercial sea kayak guide who guides others on the ocean. 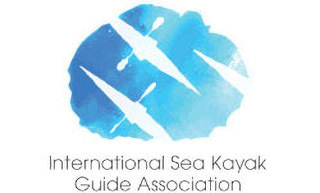 The ISKGA Coastal and Advanced Guide are professional awards for people wanting to make a career in the industry. It is internationally recognized as the benchmark of a professional sea kayak guide, employers can employ with confidence, knowing that each individual has received thorough training and assessment, over a period of time and is current and active in ALL aspects of guiding. Myles Farnbank & Howard Jeffs two of our Senior sea kayak guides are both ISKGA Advanced Guides & module providers for the full spectrum of ISKGA courses. If you are interested in finding out more or to book onto our ISKGA training courses please contact Myles Farnbank. An exciting opportunity to join our expanding Marketing Team, based in the Cairngorms National Park. An exciting opportunity to join our expanding Operations Team, based in Cairngorms National Park. Freelance opportunities exist for experienced guides who hold a Mountain Leader qualification. We're seeking guides to deliver nature-based experiential travel trips across Scotland. NGB awards are not required for this kind of trip.